Area: 390,580 sq. km. (150,760 sq. mi. ), slightly larger than Montana. Cities: Capital: Harare (pronounced Ha-RAR-e), pop. 1.5 million. Other towns — Bulawayo, Chitungwiza, Mutare, Gweru, Kwekwe, Masvingo, Marondera. Nationality: Noun and adjective: Zimbabwean (sing. ), Zimbabweans (pl.). Population (2009, World Health Organization): 12.5 million. Languages: English (official), Shona, Ndebele. Education: Attendance: mandatory for primary level. Adult literacy (2009 World Bank est.) — 92%. Health: Infant mortality rate (2010 World Bank est.) — 51/1,000. Life expectancy (2009 World Bank est.) — 48 years. Branches: Executive: President (head of state and head of government), Prime Minister (co-head of government), Cabinet. Legislative — bicameral (House of Assembly and Senate). Judicial — Supreme Court, High Court, Magistrates Courts, Labor Court, customary courts. Administrative subdivisions: Town Councils and District Councils. Main political parties: Zimbabwe African National Union-Patriotic Front (ZANU-PF); Movement for Democratic Change-Tsvangirai (MDC-T); Movement for Democratic Change-Ncube (MDC-N); Zimbabwe African People's Union (ZAPU). GDP (2010 International Monetary Fund (IMF) est. ): U.S. $7.48 billion. Real GDP growth rate (2010 IMF est. ): 9.01%. GDP per capita (2010 IMF est., U.S. dollars, current prices): $594. Avg. inflation rate (2010, IMF): 3%. Natural resources: Deposits of more than 40 minerals including diamonds, ferrochrome, gold, silver, platinum, copper, asbestos, nickel, graphite, coal, lithium, palladium, vermiculite; 156,000 sq. km. of forest (2010). Agriculture (17% of GDP): Types of crops and livestock — corn, cotton, tobacco, wheat, coffee, tea, sugarcane, peanuts, cattle, sheep, goats, pigs. Industry (29% of GDP): Manufacturing, public administration, commerce, mining, transport and communication. Trade (2010): U.S. exports: U.S. $67.6 million. U.S. imports — U.S. $58.9 million. Major markets (2010, CIA World Factbook) — D.R.C., South Africa, Botswana, China, Netherlands, Italy. Total imports (2010, CIA) — U.S. $4 billion: machinery and transport equipment, other manufactures, chemicals, fuels, food products. Major suppliers (2010, CIA) — South Africa, China. Zimbabwe boasts one of Africa's highest literacy rates. Primary and secondary schools were segregated until 1979. In the first decade after independence in 1980, the educational system was systematically enlarged by the Zimbabwean Government, which was committed to providing free public education to all citizens on an equal basis. Though in the late 1970s only 50% of the black children (5-19 years old) were listed officially as attending rural schools, today most children attend primary school despite the fact that school fees are now charged for all schools at all levels. Primary through post-secondary enrollment has expanded from 1 million to about 2.9 million since independence. There is an impressive network of independent private schools and church-run mission schools that have significantly more resources and thus significantly higher school fees than government-run schools. Higher education is offered at seven state-run universities, the most prominent being the University of Zimbabwe in Harare and the National University of Science and Technology in Bulawayo, and three private church-run universities, Africa University (Methodist), Catholic University, and Solusi University (Seventh Day Adventist). There is also a large network of teacher-training, nursing, and polytechnic colleges. The European electorate in Rhodesia, however, showed little willingness to accede to African demands for increased political participation and progressively replaced more moderate party leaders. In April 1964, Prime Minister Winston Field, accused of not moving rapidly enough to obtain independence from the United Kingdom, was replaced by his deputy, Ian Smith. Prime Minster Smith led his Rhodesian Front Party to an overwhelming victory in the 1965 elections, winning all 50 of the first roll seats and demoralizing the more moderate European opposition. In the early 1970s, informal attempts at settlement were renewed between the United Kingdom and the Rhodesian administration. Following the April 1974 coup in Portugal and the resulting shifts of power in Mozambique and Angola, pressure on the Smith regime to negotiate a peaceful settlement increased. In addition, sporadic antigovernment guerilla activity, which began in the late 1960s, increased dramatically after 1972, causing destruction, economic dislocation, casualties, and a slump in white morale. In 1974, the major African nationalists groups — the Zimbabwe African Peoples Union (ZAPU) and the Zimbabwe African National Union (ZANU), which split away from ZAPU in 1963 — were united into the "Patriotic Front" and combined their military forces, at least nominally. In 1976, because of a combination of embargo-related economic hardships, the pressure of guerilla activity, independence and majority rule in the neighboring former Portuguese territories, and a U.K.-U.S. diplomatic initiative, the Smith government agreed in principle to majority rule and to a meeting in Geneva with black nationalist leaders to negotiate a final settlement of the conflict. Blacks represented at the Geneva meeting included ZAPU leader Joshua Nkomo, ZANU leader Robert Mugabe, United African National Council (UANC) chairman bishop Abel Muzorewa, and former ZANU leader Rev. Nadabaningi Sithole. The meeting failed to find a basis for agreement because of Smith's inflexibility and the inability of the black leaders to form a common political front. Shortly after British Prime Minister Margaret Thatcher's conservative government took power in May 1979, the British began a new round of consultations that culminated in an agreement among the Commonwealth countries as the basis for fresh negotiations among the parties and the British involving a new constitution, free elections, and independence. During the transition period, nine political parties campaigned for the February 27-29 pre-independence elections. The elections were supervised by the British Government and monitored by hundreds of observers, most of whom concluded that, under the prevailing circumstances, the elections were free and fair and reflected the will of the people. Robert Mugabe's ZANU (PF) party won an absolute majority and was asked to form Zimbabwe's first government. Prime Minister Mugabe's policy of reconciliation was generally successful during the country's first 2 years of independence, as the former political and military opponents began to work together. Although additional blacks were hired to fill new places in the civil service, there was no retribution for those whites who had worked for the Smith regime. Smith and many of his associates held seats in the parliament where they participated freely in debates. Likewise, Joshua Nkomo, Mugabe's rival as leader of the nationalist forces, was included in the first cabinet along with several other members of PF-ZAPU. Splits soon developed, however. In 1981, several MPs from Smith's party left to sit as "independents," signifying that they did not automatically accept his anti-government posture. More importantly, government security officials discovered large caches of arms and ammunition on properties owned by ZAPU, and Nkomo and his followers were accused of plotting to overthrow Mugabe's government. Nkomo and his closest aides were expelled from the cabinet. During the 1990s students, trade unionists and workers often demonstrated to express their discontent with the government. Students protested in October 1990 against proposals for an increase in government control of universities and again in May 1991 and May 1992, when they clashed with police. Trade unionists and workers were also vocal critics of the government during this time. In June 1992, police prevented trade unionists from holding anti-government demonstrations. In 1994, there was widespread industrial unrest. In August and September 1996, thousands of civil servants demanding salary increases organized a national strike and in October and November of the same year, nurses and junior doctors went on strike over salary issues. On November 14, 1997, about 50,000 war veterans demanded and received compensation equivalent to about U.S. $1,300 per person for their war service. This immense and unbudgeted expenditure created a huge fiscal deficit. The Zimbabwe dollar lost more than half its value on that day, and the Zimbabwe Stock Exchange collapsed. This event marked the beginning of Zimbabwe's ongoing macro-economic crisis. In part through its control of the media, the huge parastatal sector of the economy, and the security forces, the government managed to keep organized political opposition to a minimum through most of the 1990s. Beginning in 1999, however, Zimbabwe experienced a period of considerable political and economic upheaval. Opposition to President Mugabe and the ZANU-PF government had grown, in part due to worsening economic and human rights conditions. The opposition was led by the Movement for Democratic Change (MDC), which was established in September 1999. The March 2002 presidential election was preceded by months of intensive violence and intimidation against MDC supporters, and more than 50 people, mostly opposition supporters, were killed. President Mugabe was declared the winner over challenger Morgan Tsvangirai by a 56% to 42% margin. Most international observers condemned the election as seriously flawed — the pre-election environment was neither free nor fair, and the election itself was marred by significant fraud and rigging — but regional opinions were mixed. Soon after the election, the MDC filed a petition challenging Mugabe's victory, citing flaws in electoral laws, electoral irregularities and pre-election violence. As of the end of 2004, the case had not yet been decided. As a result of the 2002 election, the United States, the EU, and other European countries imposed travel restrictions against senior Zimbabwean officials and embargoed the sale of arms to Zimbabwe. The U.S. and the EU also froze the financial assets of selected ruling party officials. The Commonwealth suspended Zimbabwe from council meetings for 1 year after its election observer team found the election neither free nor fair. At the mid-term suspension review in March 2003, the three-country committee charged with deciding Zimbabwe's fate decided to continue the suspension until the next Commonwealth meeting in December 2003. At this meeting, despite vigorous campaigning by South Africa, Zimbabwe was not invited to attend the meeting and the Commonwealth decided to continue with the suspension. Immediately after this, Mugabe withdrew Zimbabwe from the Commonwealth. Following the 2002 presidential election, the political climate remained tense and intensely polarized. Violence escalated in the run up to rural council elections in September 2002 and various parliamentary by-elections that year. Parliamentary by-elections in Kuwadzana, Highfield, Zengeza, and Lupane in 2003 were marred by widespread intimidation and beatings. The government also passed legislation that curtailed free speech, free press, and rights of assembly. In March 2003, MDC leaders Morgan Tsvangirai, Welshman Ncube, and Renson Gasela went on trial for treason. Charges against Ncube and Gasela were subsequently dropped and in October 2004 Tsvangirai was found not guilty. In August 2005, the government dropped a second charge of treason against Tsvangirai. The government subscribed to the electoral principles of the Southern African Development Community (SADC) in 2004 but failed to implement key elements of the principles in advance of the 2005 parliamentary elections. The campaign period and election day were largely non-violent, but the elections were not free and fair. The election process was marred by repressive legislation that limits freedom of speech and assembly; millions of expatriate Zimbabweans were not permitted to vote; the government used food distributions to influence an increasingly hungry population; an astonishingly high 10% (as high as 30% in some areas) of would-be voters were turned away; and discrepancies in officially announced results and the government's refusal to release key voting data led to questions about the possibility of fraud. In May 2005, the government began Operation Murambatsvina (also known as Operation Restore Order), ostensibly to rid urban areas of illegal structures, illegal business enterprises, and criminal activities. A UN Special Envoy sent to Zimbabwe to assess the scope and impact of operation estimated that some 700,000 people nationwide lost their homes, their source of livelihood, or both. Families and traders, especially at the beginning of the operation, were often given no notice before police destroyed their homes and businesses. Others were able to salvage some possessions and building materials but often had nowhere to go, despite the government's statement that people should be returning to their rural homes. Thousands of families were left unprotected in the open in the middle of Zimbabwe's winter. The government interfered with non-governmental organization (NGO) efforts to provide emergency assistance to the displaced in many instances. Some families were removed to transit camps, where they had no shelter or cooking facilities and minimal food, supplies, and sanitary facilities. The operation continued into July 2005, when the government began a program to provide housing for the newly displaced. 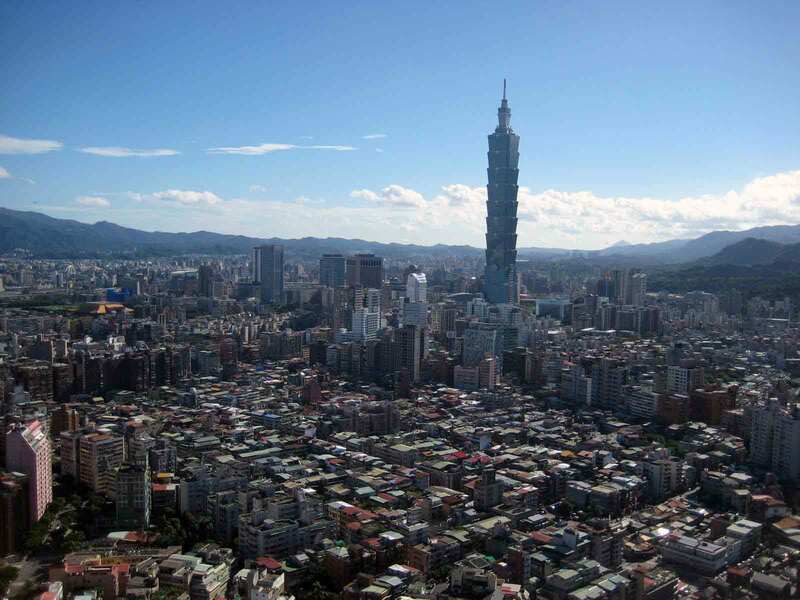 As of September 2007, housing construction fell far short of demand, and there were reports that beneficiaries were mostly civil servants and ruling party loyalists, not those displaced. The government campaign of forced evictions continued in 2006, 2007, and 2008 albeit on a lesser scale. In April 2007, South African President Thabo Mbeki, at the behest of SADC and the international community, was designated to serve as mediator between Robert Mugabe's government and the MDC. The mediation aimed to define a mutually agreed upon election date and procedures to rewrite the constitution. While the mediations were ongoing, Mugabe announced that "harmonized" elections would be held on March 29, 2008, despite Morgan Tsvangirai's protests that the mediation was still underway and that there was not enough time to campaign. As in 2005, the pre-election period was not free and fair. The environment was characterized by violence and a media environment that heavily favored Mugabe. Although Tsvangirai was allowed to campaign, Zimbabwean police did not grant permission to MDC to hold all of its rallies, and some MDC activists were intimidated and beaten in the weeks before the election. Foreign journalists were not granted permission to cover the story from Zimbabwe. Election day was largely peaceful, with international observers from the African Union, SADC, and the Pan African Parliament present; observers from Western nations, including the United States, were not invited. The "harmonized" elections for the presidency, House of Assembly, Senate, and local government demonstrated a significant shift in the political environment. MDC secured a majority in the parliament, giving the MDC control of the legislative branch. In the presidential race, MDC's Tsvangirai secured 47.9%, while Mugabe came in second with 43.2%. Simba Makoni, who left Mugabe's ZANU-PF party in February 2008 to run as an independent, received 8.3%. The results in the presidential race were not released until May 2, 2008. This lengthy delay called into question the credibility and independence of the Zimbabwe Electoral Commission (ZEC). Initially the MDC challenged the results, asserting that Tsvangirai had secured the majority of votes needed to win the presidency. Because no candidate secured the 50%-plus-one needed, a runoff was set for June 27, 2008. As of early June 2008, over 50 Zimbabweans had been killed, at least 2,000 injured, and over 30,000 displaced as a result of widespread post-election violence, including state-sponsored violence. Due to these and other events, and out of concern for the lives of his MDC supporters, Tsvangirai announced in late June that he would not contest the runoff election. Voters went to the polls on June 27, and Mugabe was inaugurated for a new term as president on June 29. By the end of 2008, over 193 citizens had been killed in political violence that targeted members of the opposition party. The MDC claimed that approximately 200 other members and supporters were missing and presumed dead at year's end. NGOs also estimated security forces killed between 200 and 300 citizens in the Chiadzwa diamond fields in Manicaland Province. Following domestic and international protests of Mugabe's inauguration as president, ZANU-PF and MDC resumed negotiations, with Mbeki as lead SADC mediator. On July 21, 2008 the leaders of the two MDC factions and ZANU-PF signed a memorandum of understanding (MOU) which set terms for the forthcoming dialogue. The MOU, unlike the agenda of the 8-month-long SADC negotiations that ended in failure in January 2008, envisaged that the parties would form an inclusive government. On September 15, Mugabe, Tsvangirai, and Mutambara signed a Global Political Agreement (GPA) to establish an "inclusive" or transitional government. Under the agreement, Mugabe would retain the presidency and Tsvangirai would become prime minister. Each would have two deputies. Ministries would be divided among the three political parties. Between late October and mid-December 2008, approximately 32 MDC and civil society members were abducted by suspected state agents. On December 22, some of these abductees surfaced in jails and were accused of various plots including mounting an armed insurgency from Botswana and committing bombings of police stations in preceding months. In subsequent court hearings and affidavits, these people have testified they were seriously beaten and some were tortured by state security agents in order to extract confessions to these alleged crimes. These events led many to question Mugabe's sincerity in negotiations. In December 2008, Secretary of State Condoleezza Rice and Assistant Secretary for African Affairs Jendayi Frazer called on Mugabe to step down. Prominent Africans, including South African Archbishop Desmond Tutu and Kenyan Prime Minister Raila Odinga, also called on Mugabe to step down. After 5 months of negotiations to resolve issues left unaddressed by the September 15, 2008 GPA, the MDC agreed to enter into government alongside ZANU-PF. Many key issues remained unresolved, such as the appointment of senior government officials, the release of political detainees, and the creation of a National Security Council to curtail the authorities of the security chiefs. Despite these issues, Constitutional Amendment 19 was passed by parliament on February 5, 2009, paving the way for the creation of a transitional government. On February 11, MDC-T leader Morgan Tsvangirai was sworn in as Prime Minister, alongside Deputy Prime Ministers Arthur Mutambara and Thokozani Khupe. During the following week, 41 ministers and 20 deputy ministers were sworn into office. Since February 2009, the new government has suffered fits and starts. While dollarization spurred economic recovery, political progress toward GPA implementation stalled. By late 2010 and early 2011, speculation about early presidential elections spurred renewed incidents of political violence and arbitrary arrests of political and civil society activists. In light of stalled implementation of the GPA, South African President Jacob Zuma is leading efforts on behalf of SADC to establish an electoral roadmap with tangible benchmarks for progress that the parties would agree to. In January 2011, the MDC-M Party Congress elected Welshman Ncube to replace Deputy Prime Minister Arthur Mutambara as its party president; however, Mutambara refused to step down from the post of Deputy Prime Minister. In March 2011, the Supreme Court nullified the 2008 election of MDC-T's Lovemore Moyo as the Speaker of Parliament, granting an appeal by ZANU-PF politburo member and former Information Minister Jonathon Moyo. At the time of the ruling, five other MDC-T MPs were in police custody on various charges as were numerous civil society activists. On March 29, 2011, Moyo was re-elected as Speaker of Parliament by a vote of 105-93. On the morning of the election, the MDC-T's chief whip claimed at a press conference that ZANU-PF had attempted to bribe five MDC-T MPs with $5,000 each, and the MPs stepped forward to return the money. According to Zimbabwe's constitution, the president is head of state and head of government, and is elected by popular majority vote. Constitutional Amendment 19 requires that the president consult with the prime minister on many key issues of state, including senior appointments. Parliament is bicameral and sits for up to a 5-year term. On October 1, 2007 Constitutional Amendment 18, which provides for significant changes in the country's electoral dispensation, went into effect. The amendment set out the framework to harmonize presidential and parliamentary elections, to reduce the presidential term of office from 6 years to 5, to increase the number of seats in the House of Assembly and in the Senate, to empower parliament to serve as an electoral college should the office of president become vacant for any reason, and to empower the Zimbabwe Electoral Commission (ZEC) to delimit parliamentary and local constituencies. The 214-member House of Assembly is filled by direct election in 210 constituencies and the appointments of 4 other MPs. Sixty of the 100 Senators are directly elected by voters. Other Senators include 10 provincial governors, 5 others that are appointed by the president, 7 new appointments created by Constitutional Amendment 19, 16 chiefs that are elected by other chiefs, plus the president and deputy president of the Council of Chiefs. 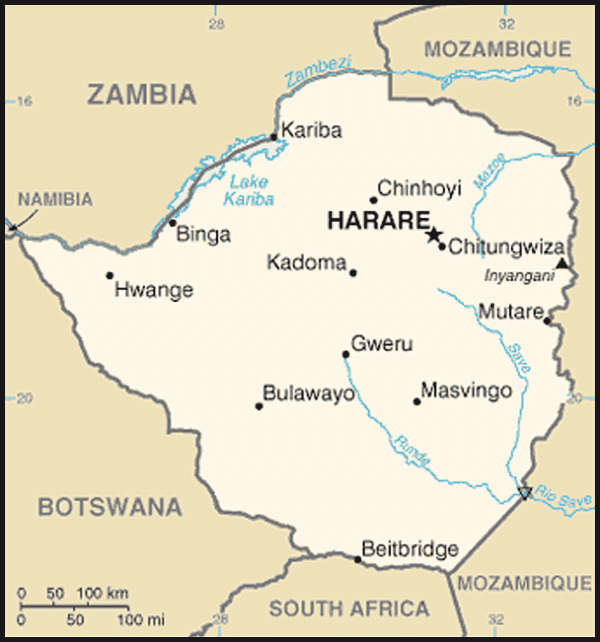 Zimbabwe is divided into 10 provinces, each administered by a provincial governor appointed by the president. The provincial administrator and representatives of several service ministries assist the provincial governor. Note: Deputy Prime Minister Arthur Mutambara no longer represents the smaller formation of the Movement for Democratic Change. In January 2011, the MDC-M Party Congress elected Welshman Ncube to replace Deputy Prime Minister Mutambara as its party president; however, Mutambara refused to step down from the post of Deputy Prime Minister. The smaller formation of the Movement for Democratic Change is now referred to as MDC-Ncube Formation (MDC-N). Zimbabwe maintains an embassy in the United States at 1608 New Hampshire Ave., NW, Washington, DC 20009 (tel. 202-332-7100). A Zimbabwean mission to the United Nations is located at 19 East 47th St., New York, NY. Zimbabwe's wide range of natural resources makes agriculture and mining the main pillars of the economy. Agriculture and industry account for about 17% and 29% of gross domestic product (GDP), respectively. Zimbabwe has an important percentage of the world's known reserves of metallurgical-grade chromite. Other commercial mineral deposits include coal, platinum, asbestos, copper, nickel, gold, and iron ore. In order to develop these mineral deposits, Zimbabwe relies on foreign investment. In the early 1970s, the economy experienced a modest boom. Real per capita earnings for both blacks and whites reached record highs, although the disparity in incomes between blacks and whites remained, with blacks earning only about one-tenth as much as whites. After 1975, however, the cumulative effects of sanctions, declining earnings from commodity exports, worsening guerilla conflict, and increasing white emigration undermined Rhodesia's economy. When Mozambique severed economic ties, the Smith regime was forced to depend on South Africa for access to the outside world. Real GDP declined between 1974 and 1979. An increasing proportion of the national budget (an estimated 30%-40% per year) was allocated to defense, and a large budget deficit raised the public debt burden substantially. Following the Lancaster House settlement in December 1979, Zimbabwe enjoyed a brisk economic recovery. Zimbabwe inherited one of the strongest and most complete industrial infrastructures in sub-Saharan Africa, as well as rich mineral resources and a strong agricultural base. Real growth for 1980-81 exceeded 20%. However, depressed foreign demand for the country's mineral exports and the onset of a drought cut sharply into the growth rate from 1982 through 1984. In 1985 the economy rebounded strongly due to a 30% jump in agricultural production. But drought and a foreign-exchange crisis triggered another slump in 1986 and 1987. Annual real GDP growth from 1988 through 1990 averaged about 4.5%. Since the mid-1990s, Zimbabwe's infrastructure has been deteriorating rapidly, but it remains better than that of most African countries. Political turmoil and poor management of the economy have led to considerable economic hardships. The Government of Zimbabwe's chaotic land reform program, recurrent interference with the judiciary, and imposition of unrealistic price controls and exchange rates caused a sharp drop in investor confidence. Since 1999 the national economy has contracted by as much as 40%. Foreign direct investment has all but stopped. In July 2007, the government had made a desperate attempt to control inflation, which brought persistent shortages fuel, food, and other goods, by forcing firms and supermarkets to reduce prices by half, which resulted in severe shortages of basic commodities. Inflation vaulted over 200 million percent (year on year) in July 2008, according to official estimates; independent economists estimated inflation was at least in the quadrillions of percent. In January 2009, official recognition of dollarization stopped hyperinflation. Investor confidence remains low due to insecurity of land tenure and indigenization laws that require, in theory if not always in practice, 51% of investments to be owned by Zimbabwean citizens. Agriculture is no longer the backbone of the Zimbabwean economy. Large-scale commercial farming has nearly collapsed since 2000 under the government's controversial land reforms. Corn is the largest food crop and tobacco had traditionally been the largest export crop, followed by cotton. Tobacco production in 2006, however, slumped to its lowest level — about 50 million kg — since independence, off from a peak in 2000 of 237 million kg, before recovering to 57 million kg in 2009. Gold production, another former key foreign currency source, has also slumped. In 2009, the country produced only 4.2 tons of gold. Poor government management has exacerbated meager corn harvests in years of drought or floods, resulting in significant food shortfalls every year since 2001. Paved roads link the major urban and industrial centers, but the condition of urban roads and the unpaved rural road network has deteriorated significantly since 1995 for lack of maintenance. Rail lines connect with an extensive central African railroad network, although railway track condition has also worsened in recent years, along with locomotive availability and utilization. The electric power supply has become erratic and blackouts are common due to unreliable or nonexistent coal supplies to the country's large thermal plants and power plant breakdowns. Telephone service is problematic, and new lines are difficult of obtain. Municipal water supply is also erratic. The largest industries are metal products, food processing, chemicals, textiles, clothing, furniture and plastic goods. Most manufacturers have sharply scaled back operations due to the poor operating climate and foreign exchange shortages. Zimbabwe is not eligible for preferred trade status under the African Growth and Opportunity Act. Zimbabwean producers still export lumber products, certain textiles, chrome alloys, and automobile windscreens to the U.S.
Zimbabwe is endowed with rich mineral resources. Exports of gold, diamonds, asbestos, chrome, coal, platinum, nickel, and copper could lead to an economic recovery one day. No commercial deposits of petroleum have been discovered, although the country is richly endowed with coal-bed methane gas that has yet to be exploited. With considerable hydroelectric power potential and plentiful coal deposits for thermal power station, Zimbabwe is less dependent on oil as an energy source than most other comparably industrialized countries, but it still imports 40% of its electric power needs from surrounding countries — primarily Mozambique. Only about 15% of Zimbabwe's total energy consumption is accounted for by oil, all of which is imported. Zimbabwe imports about 1.2 billion liters of oil per year. Zimbabwe also has substantial coal reserves that are utilized for power generation, and coal-bed methane deposits recently discovered in Matabeleland province are greater than any known natural gas field in Southern or Eastern Africa. In recent years, poor economic management and low foreign currency reserves have led to serious fuel shortages. At independence, then-Prime Minister Mugabe declared integrating what were then Zimbabwe's three armed forces to be one of his government's top priorities. A unified army was created by combining the Zimbabwe African National Liberation Army (ZANLA), the Zimbabwe Peoples' Revolutionary Army (ZIPRA), and the Rhodesian Security Forces (RSF). In July 1994, the combined Zimbabwe Defense Forces (ZDF) Headquarters was created. Currently the armed forces of Zimbabwe are completely integrated and are composed of an army and an air force. The Zimbabwe Defense Forces is under the command of the president, who is the commander-in-chief of the Defense Forces. He is assisted by the Minister of Defense, who is responsible for the administrative and logistical support of the Defense Forces, and the commander of the Defense Forces, who maintains operational control of the Defense Forces. Subordinate to the commander of the Defense Forces are the commander of the Zimbabwe National Army (ZNA) and the commander of the Air Force of Zimbabwe (AFZ). The ZNA is authorized 40,000 members but end strength estimates as of January 2009 indicated the ZNA had about 30,000 members serving. The ZNA's operational forces are based in Harare, Bulawayo, Masvingo, and Mutare. Operational forces include five infantry brigades, artillery brigade, mechanized brigade, field artillery regiment, engineer regiment, air defense regiment, commando regiment, and one airborne battalion. Today, the ZNA is beset by shortages of supplies, including food. It is mostly under-trained and its equipment is aged, not particularly reliable, and largely immobile. The AFZ is authorized 5,000 members, but only 4,000 were on active duty as of January 2009. It is estimated that half of Zimbabwe's aircraft are mission capable. The Zimbabwe Republic Police numbers 25,000. The force is organized by province, and is comprised of uniformed national police, the Criminal Investigation Department, and traffic police. It also includes specialized support units including the (paramilitary) Police Support Unit and riot police and a Police Internal Security and Intelligence unit. The police commissioner-general exercises overall command of the force. The U.S. Congress terminated support for military cooperation programs in 2001. Presently, the U.S. has no military-to-military cooperation with Zimbabwe other than through the President's Emergency Plan for AIDS Relief (PEPFAR) program. Since independence, Zimbabwe has enunciated and follows a policy of "active nonalignment." In practice, this has meant that Zimbabwe usually adhered to positions established by the Non-Aligned Movement (NAM); the Organization of African Unity (OAU), now the African Union; or, until it withdrew in 2003, the Commonwealth. Zimbabwe took a particular interest in the quest for independence for Namibia (South-West Africa) from South Africa. In addition, as chairman of the front-line states in southern Africa, Zimbabwe spoke out vigorously against the policies of apartheid in South Africa and frequently called for the imposition of economic sanctions against Pretoria. In November 1982, Zimbabwe was chosen by the OAU to hold one of the non-permanent seats in the UN Security Council for the following 2 years, which brought it to the center stage of world events and gave it much-needed experience in international affairs. 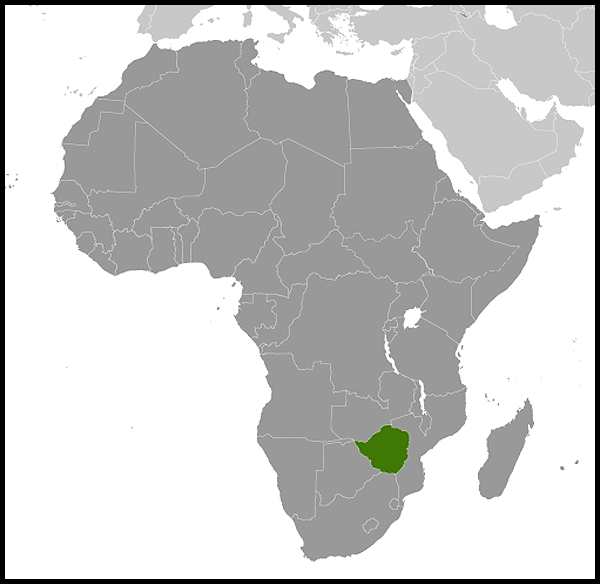 In 1986, Zimbabwe was the site of the NAM summit meeting; Prime Minister Mugabe became chairman of that organization, giving both Mugabe and Zimbabwe added international visibility and responsibility. Zimbabwe maintains embassies in Angola, Australia, Austria, Belgium, Botswana, Brazil, Canada, China, Cuba, Democratic Republic of the Congo (D.R.C. ), Egypt, Ethiopia, France, Germany, Ghana, India, Indonesia, Iran, Italy, Japan, Kenya, Kuwait, Libya, Malawi, Malaysia, Mozambique, Namibia, Nigeria, Russia, Serbia, South Africa, Sweden, Switzerland, Tanzania, United Kingdom, the United States, and Zambia. Fifty-three countries are represented in Harare, as are several international organizations including UN institutions, the European Union, and the World Bank. Zimbabwe is a member of many international organizations, including the International Monetary Fund (IMF); African Development Bank; World Trade Organization; Southern African Development Community (SADC); Preferential Trade Area for Eastern and Southern Africa (PTA); African Caribbean and Pacific Countries (ACP, in association with the EU); Group of 77 (G-77); Group of 15 (G-15); NAM; African Union (AU); Customs Cooperation Council (CCC); and World Federation of Trade Unions. Shortly after the March 2002 presidential election, the Commonwealth suspended Zimbabwe from leadership councils for 1 year after the Commonwealth's election observer team found the conduct of the election seriously flawed. After this suspension was upheld in December 2003, Mugabe withdrew Zimbabwe from the Commonwealth. The IMF closed its Zimbabwe office in October 2004. Historically, Zimbabwe's closest links have been with the U.K.; however, this relationship became very strained when violent land invasions of white-owned farms began in 2000. The government has demonized Britain in the press, blaming the country for Zimbabwe's problems, and claiming that Britain reneged on promises made at Lancaster House to provide money for land reform. As with the U.S., thousands of Zimbabweans studied in the U.K., and private links remain close; however, official relations are strained. Other West European countries have ties with Zimbabwe. The Scandinavian countries share certain philosophical affinities and have provided much assistance, as have France, Canada, and Germany. Portugal and Greece maintain links partly because of the sizable Portuguese and Greek communities in the country. Similar historical ties have led to the establishment of relations with India and Pakistan, and to a lesser extent, with Bangladesh. The government's "Look East" policy has led to closer diplomatic relations with East Asian countries such as Malaysia and China. Zimbabwe developed and maintains close ties with a number of revolutionary states and organizations. Among these are the People's Republic of China, Cuba, the Democratic People's Republic of Korea, Iran, and the Palestine Liberation Organization. After the Unilateral Declaration of Independence in November 1965, the United States recalled its Consul General from Salisbury, closed the U.S. Information Service (USIS) library, and withdrew its Agency for International Development (USAID) and trade promotion officials. After 1965, the small remaining American consular staff continued to operate under authority of exequaturs issued by Queen Elizabeth II. Following declaration of a republic, the United States closed its Consulate General on March 17, 1970. In 1971, despite Administration opposition, the U.S. Congress passed legislation permitting the United States to import strategic materials, such as chrome, from Rhodesia. The legislation, which took effect January 1, 1972, was of little real economic benefit to the Rhodesian economy, and the United States continued to support the balance of the sanctions program. After the legislation was repealed in March 1977, the United States once again enforced all sanctions. The United States supported the United Nations and the United Kingdom consistently in their efforts to influence Rhodesian authorities to accept the principles of majority rule. Beginning in 1976, the United States began to take a more active role in the search for a settlement in cooperation with the British. The Anglo-American proposals of late 1977, aimed at bringing a negotiated end to the dispute, lent the weight of the United States to the search for a peaceful settlement and were a counterpart to the Soviet-Cuban use of military power to increase their influence in southern Africa. The United States supported British efforts to bring about and implement the settlement signed at Lancaster House on December 21, 1979 and extended official diplomatic recognition to the new government immediately after independence. A resident Embassy was established in Harare on Zimbabwe's Independence Day, April 18, 1980. The first U.S. Ambassador arrived and presented his credentials in June 1980. Until the arrival in 1983 of a resident Ambassador in Washington, Zimbabwe's relations with the U.S. were handled by its Ambassador to the United Nations (UN) in New York. At the Zimbabwe conference on reconstruction and development (ZIMCORD) in March 1981, the United States pledged $225 million over a 3-year period toward the government's goals of postwar reconstruction, distribution and development of land, and the development of skilled manpower. By the end of FY 1986, the United States had contributed $380 million, the majority in grants, with some loans and loan guarantees. However, in July 1986, the U.S. Government decided to discontinue future bilateral aid to Zimbabwe as a result of a continuing pattern of uncivil and undiplomatic statements and actions by the Government of Zimbabwe in the United Nations and elsewhere. Aid programs previously agreed upon were not affected by the decision, nor were regional development programs that might benefit Zimbabwe. Full programming was restored in 1988. USAID assistance to Zimbabwe since 2002 has focused on HIV/AIDS prevention, democracy and governance programs, humanitarian assistance, economic growth and agriculture, and investing in people. The Centers for Disease Control and Prevention (CDC) began a direct assistance program in August 2000. CDC's program consists of prevention of HIV transmission; improved care of persons with HIV/AIDS; surveillance, monitoring, and evaluation of the epidemic; and health sector infrastructure support. Since 2000, the United States has taken a leading role in condemning the Zimbabwean Government's increasing assault on human rights and the rule of law, and has joined much of the world community in calling for the Government of Zimbabwe to embrace a peaceful democratic evolution. In 2002, 2003, 2005, and 2008, the United States imposed targeted measures on the Government of Zimbabwe, including financial and visa sanctions against selected individuals, a ban on transfers of defense items and services, and a suspension of non-humanitarian government-to-government assistance. Despite strained political relations, the United States continues as a leading provider of humanitarian assistance to the people of Zimbabwe, providing more than $900 million in humanitarian assistance from 2002-2008, most of which was food aid. Prime Minister Morgan Tsvangirai visited Washington in June 2009, meeting with President Barack Obama. He visited Chicago and New York City in September 2011. President Mugabe visited Washington informally in September 1980, and on official working visits in September 1983, July 1991, and in 1995, meeting with Presidents Jimmy Carter, Ronald Reagan, George H.W. Bush, and Bill Clinton respectively. He has also led the Zimbabwean delegation to the UN on several occasions, including the UN General Assembly in 2011. Vice President George H.W. Bush visited Harare in November 1982 on a trip to several African countries.